1. Мамедов М . Н., Чепурина Н. А . Суммарный сердечно-сосудистый риск: от теории до практики. М.: Д-р Редди’с; 2008. Mamedov M. N., Chepurina N. A. Summarnyi serdechnososudistyi risk: ot teorii do praktiki. Moscow: D-r Reddi’s; 2008. [In Russ]. 2. Berman D. S., Hachamovitch R., Shaw L. J., Friedman J. D., Hayes S. W., Thomson L. E. J. et al. Roles of nuclear cardiology, cardiac computed tomography, and cardiac magnetic resonance: assessment of patients with suspected coronary artery disease. J. Nucl. Med. 2006 Jan; 47 (1): 74–82. 3. Mahmarian J. J. Combining myocardial perfusion imaging with computed tomography for diagnosis of coronary artery disease. Curr. Opin. Cardiol. 2007 Sep; 22 (5): 413–421. 4. Agatston A. S., Janowitz W. R., Hildner F. J., Zusmer N. R., Viamonte M., Detrano R. Quantification of coronary artery calcium using ultrafast computed tomography. J. Am. Coll. Cardiol. 1990; 15 (4): 827–832. doi:10.1016/0735-1097(90)90282-T.
5. Budoff M. J., Achenbach S., Blumenthal R. S., Carr J. J., Goldin J. G., Greenland P. et al. Assessment of Coronary Artery Disease by Cardiac Computed Tomography : A Scientific Statement From the American Heart Association Committee on Cardiovascular Imaging and Intervention, Council on Cardiovascular Radiology and Intervention, and Committee on Cardiac Imaging, Council on Clinical Cardiology. Circulation, 2006; 114: 1761–1791. 6. Терновой С. К ., Синицын В . Е ., Гагарина Н. В . Неинвазивная диагностика атеросклероза и кальциноза коронарных артерий. М.: Атмосфера; 2003. Ternovoi S. K., Sinitsyn V. E., Gagarina N. V. Neinvazivnaya diagnostika ateroskleroza i kal’tsinoza koronarnykh arterii. Moscow: Atmosfera; 2003. [In Russ]. 7. Архипова И . М ., Мершина Е . А ., Синицын В . Е . Роль КТ-коронарографии в диагностике ИБС на амбулаторном этапе. Поликлиника. Спецвыпуск Лучевая диагностика. 2013; 3: 18–21. Arkhipova I. M., Mershina E. A., Sinitsyn V. E. Rol’ KTkoronarografii v diagnostike IBS na ambulatornom etape. Poliklinika. Spetsvypusk. Luchevaya diagnostika. 2013; 3: 18–21. [In Russ]. 8. Gaemperli O., Bengel F. M., Kaufmann P. A. Cardiac hybrid imaging. European Heart Journal, 2011; 32: 2100–2108. 9. Де Фейтер П. Д., Ахенбах Ш., Ньюман К . Клиническое применение компьютерной томографии сердца. Болезни сердца и сосудов: Руководство Европейского общества кардиологов: пер. с англ. под ред. А. Д. Кэмма, Т. Ф. Люшера, П. В. Серруиса. М.: ГЭОТАР-МЕДИА; 2011. С. 188–204. De Feyter P. J., Achenbach S., Nieman K. Cardiovascular Computed Tomography. The ESC Textbook of Cardiovascular Medicine. SECOND EDITION. doi:10.1093/med/ 9780199566990.003.006. 10. Федоров В . Д., Кармазановский Г . Г ., Коков Л . С., Коростелев А . Н., Несук О . М ., Тарбаева Н. В . Клиническое значение мультиспиральной компьютерно-томографической коронарографии. Хирургия. Журнал им. Н. И. Пирогова. 2010; 7: 4–9. 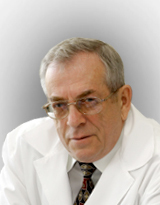 Fedorov V. D., Karmazanovskii G. G., Kokov L. S., Korostelev A. N., Nesuk O. M., Tarbaeva N. V. The role of multispiral computed tomographic coronarography. Khirurgiya. Zhurnal imeni N. I. Pirogova (Surgery). 2010; 7: 4–9. [In Russ]. 11. Mahnken A. H. CT Imaging of Coronary Stents: Past, Present, and Future. Cardiology 2012; 1: 1–12. 12. Dillman J. Role of CT in the evaluation of congenital cardiovascular disease in children. Am. J. Roentg. 2009; 192: 1219–1231. 13. Clark A. N., Beller G. A. The present role of nuclear cardiology in clinical practice. J. Nucl. Med. Mol. Imaging. 2005; 49 (1): 43–58. 14. Marcassa C., Bax J. J., Bengel F., Hesse B., Petersen C. L., Reyes E. et al. Clinical value, cost-effectiveness, and safety of myocardial perfusion scintigraphy: a position statement. Eur. Heart J. 2008 Feb; 29 (4): 557–563. doi:http:// dx.doi.org/10.1093/eurheartj/ehm607. 15. Лишманов Ю. Б., Чернов В . И . Сцинтиграфия миокарда в ядерной кардиологии. Томск: Изд-во Том. ун-та; 1997. 276 с. Lishmanov Yu. B., Chernov V. I. Stsintigrafiya miokarda v yadernoi kardiologii. Tomsk: Izd-vo Tom. un-ta; 1997. [In Russ]. 16. De Jong M. C., Genders T. S. S., Van Geuns R-J., Moelker A., Hunink M. G. M. Diagnostic performance of stress myocardial perfusion imaging for coronary artery disease: a systematic review and meta-analysis. Eur. Radiol. 2012; 22 (9): 1881–1895. 17. Voudris V., Avramides D., Koutelou M., Malakos J., Manginas A., Papadakis M. et al. Relative coronary flow velocity reserve improves correlation with stress myocardial perfusion imaging in assessment of coronary artery stenosis. Chest. 2003; 124 (4): 1266–1274. doi:10.1378/chest.124.4.1266. 18. Klocke F. J., Baird M. J., Bateman T. M., Berman D. S., Carabello B. A., Cerqueira M. D. et al. ACC/AHA/ASNC guidelines for the clinical use of cardiac radionuclide imaging – executive summary: a report of the American College of Cardiology. American Heart Association Task Force on Practice Guidelines. 2003; American College of Cardiology. Available from: http://www.acc.org/clinical/guidelines/radio/ index.pdf. 19. Shaw L. J., Iskandrian A. E. Prognostic value of gated myocardial perfusion SPECT. J Nucl Cardiol. 2004; 11: 171– 185. 20. Beyer T., Townsend D. W., Blodgett T. M. Dualmodality PET/CT tomography for clinical oncology. J. Nucl. Med. 2002; 46 (1): 24–34. 21. Schillaci O. Hybrid SPECT/CT: a new era for SPECT imaging? Eur J Nucl Med Mol Imaging. 2005; 32 (5): 521– 524. 22. Gaemperli O., Schepis T., Kalff V., Namdar M., Valenta I., Stefani L. et al. Validation of a new cardiac image fusion software for three-dimensional integration of myocardial perfusion SPECT and stand-alone 64-slice CT angiography. Eur. J. Nucl. Med. Mol. Imaging. 2007; 34 (7): 1097–1106. 23. Namdar M., Hany T. F., Koepfli P., Siegrist P. T., Burger C., Wyss C. A. et al. Integrated PET/CT for the assessment of coronary artery disease: a feasibility study. J. Nucl. Med. 2005; 46: 930–935. 24. Rispler S., Keidar Z., Ghersin E., Roguin A., Soil A., Dragu R. et al. Integrated single-photon emission computed tomography and computed tomography coronary angiography for the assessment of hemodynamically significant coronary artery lesions. J. Am. Coll. Cardiol. 2007; 49: 1059–1067. 25. Sato A., Nozato T., Hikita H., Miyazaki S., Takahashi Y., Kuwahara T. et al. Incremental value of combining 64-slice computed tomography angiography with stress nuclear myocardial perfusion imaging to improve noninvasive detection of coronary artery disease. J. Nucl. Cardiol. 2010; 17: 19–26. 26. Van Werkhoven J. M., Schuijf J. D., Gaemperli O., Jukema J. W., Boersma E., Wijns W. et al. Prognostic value of multi-slice computed tomography and gated single photon emission computed tomography in patients with suspected coronary artery disease. J. Am. Coll. Cardiol. 2009; 53: 623–632. 27. Gaemperli O., Saraste A., Knuuti J. Cardiac hybrid imagine. Eur. Heart J. Cardiovasc. Imaging. 2012; 13 (1): 51–60. 28. Hsu H.-B., Shiau Y.-C., Kao A., Lin C. C., Lee C. C. Technetium-99m tetrofosmin myocardial perfusion single photon emission computed tomography in syndrome X: a preliminary report. Jpn. Heart J. 2003; 44 (2): 153–162.